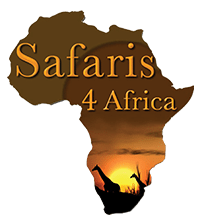 For honeymooners , weddings or proposal of marriages, or even the romantic at heart, Africa has so much to offer. 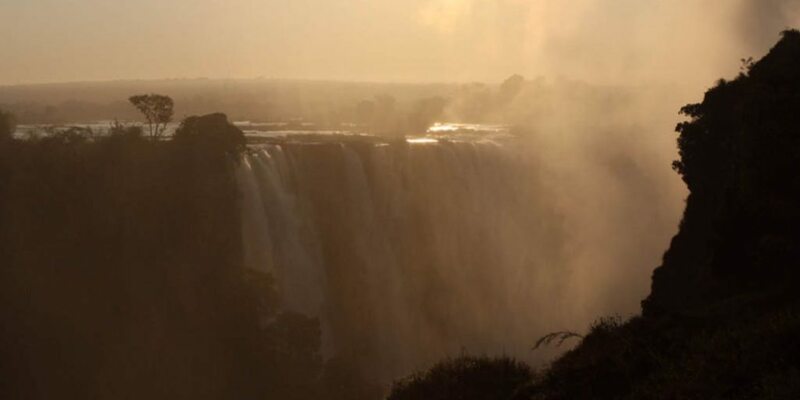 One of the most memorable experiences could be a proposal at one of the natural wonders of the world – the Victoria Falls. My most favourite camp to do this would be Tongabezi which has a range of romantic but quirky accommodation options. 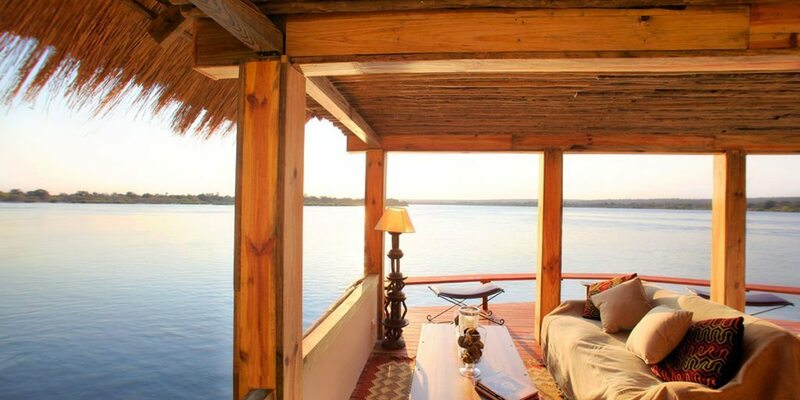 One way of proposing to your future spouse is for us to organize a floating pontoon on the Zambezi River, romantically lit, with the only interruption being your waiter who canoes each course to your floating pontoon. Another area that would complement the Iconic Victoria Falls is the Lower Zambezi. A wonderful camp I would recommend is Chiawa Camp, they can organize a special floating pontoon boat for either a wedding ceremony or a proposal or a celebration of your honeymoon. We can tailor make a special safari wedding to include flowers, special locations in the middle of the bush or on the river, and even include the camps Zambian choir. To continue the romantic theme I would recommend the delightful Chinzombo in the South Luangwa. 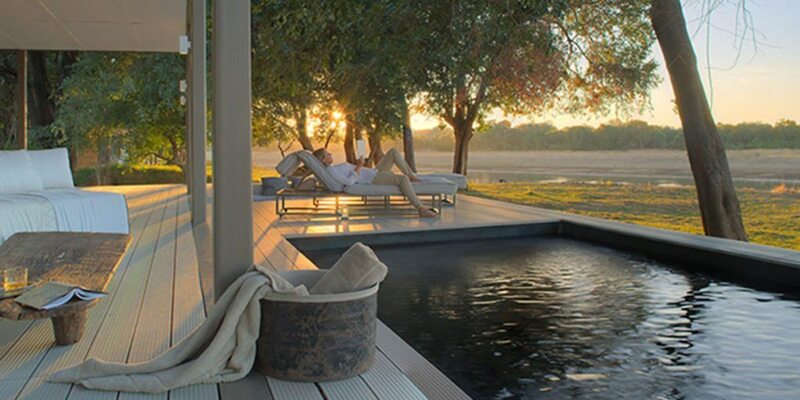 This camp is one of Africa’s finest safari camps offering a wildlife adventure of a lifetime with unique opportunities to spend precious time together. The accommodation villa’s each have their own private plunge pool and sleeping area with a bathroom that you could get lost in. An added feature is the in camp spa treatment centre , with the exotic treatments enjoyed from the privacy of your villa. 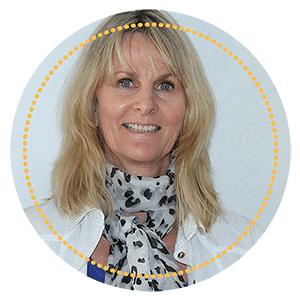 There is a spa team to advise on your preferred and best suited treatment. Sit back and enjoy being pampered. There is a wide range of camps in properties who cater for that important marriage proposal, honeymoon or wedding, let me tailor make a special experience that you will never forget.